We are the youngest German scholarship organisation recognised by the state. We provide scholarships to highly talented and socially engaged Muslim students and researchers. The financial support consists of a montly grant and a fixed sum for study or research expenses. It may also include stays, conferences, interships and language courses abroad. We provide suitable spaces and opportunites for promising and motivated young Muslims to develop academically, to engage their own faith and to take responsibilty by being socially active. Professor Ingrid Mattson, University of Western Ontario in London, Ontario, Canada. In 2013, the Avicenna-Studienwerk has been recognised by the Federal Ministry of Education and Research (BMBF) as the 13th official scholarship organisation in Germany. In its Latinised form, the organisation is named after the great and influencial 11th-century scholar Ibn Sina. 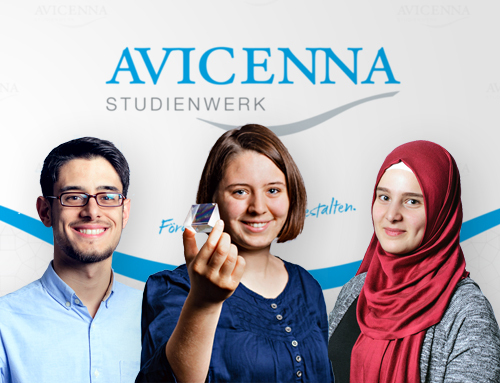 Avicenna provides scholarships to highly talented and socially engaged young German Muslim students. Through its special educational as well as mentoring programmes, it provides suitable spaces for promising and motivated young Muslims to develop academically and personally. Avicenna creates a platform for future Muslim decision makers and leaders in all spheres of life. The scholarship programme is more than just a scholarship, more than just one scholarship opportunity. Thirteen organisations for the promotion of young talents which have come together under the umbrella of the Federal Ministry of Education and Research (BMBF) to provide support to students and young researchers with special talents. Students in Germany have many possibilities to choose from and to match their personal interests and their study priorities. There are ideologically neutral organisations as well as others that are more politically associated, denomination-based or are run by the unions or employers’ associations. They adopt and represent different views and positions which reflect the plurality of Germany’s democratic society, yet they share the same goal. They are dedicated to promoting the common good and are assuming responsibility for the society in which we live. They have established common rules and aims in coordination with the BMBF. The motto is ‘Diversity in Unity’. 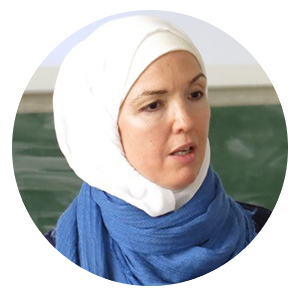 In 2014 in an historic ceremony, which also included a reception by the then German President Joachim Gauck, the Avicenna-Studienwerk welcomed its first generation of 65 promising grantees. In 2015, further 80 grantees were accepted into the scholarship program, which were followed by 120 in 2016 and 2017. Currently about 400 students receive a scholarship from the Avicenna-Studienwerk. The aim is to have 500 grantees by the end of 2019. BA/MA Degree Scholarship We only offer scholarships for students who obtained their general qualification for university entrance (Abitur) in Germany or an equivalent abroad ("educational residents"). The applicant student must also be enrolled at a public or state-recognized institution of higher education in Germany. PhD Degree Scholarship Doctoral students with a particular talent and a promising dissertation topic are also eligible for funding. In this particular case, candiates must have an admission to take a doctoral degree, enrolled at a public or state-recognised institution of higher education in Germany, be in the early stages of their doctoral work, and fluent in German. All applicant students need to be entitled to permanent residence in Germany. What does the financial support consist of? How can I prove my German language skills? Proof of German language skills at level C1/DSH-3 is a requirement for the application, even if your PhD program / study program is in English. Why do I need German skills if my study program in Germany is in English? The Avicenna scholarship requires your active engagement in German society, usually proven by previous participation in civil society. 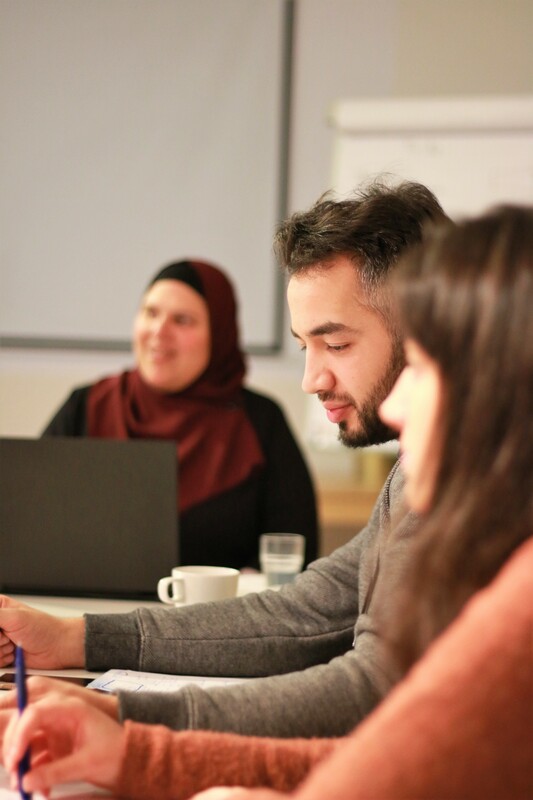 Furthermore, our scholarships include not only financial support but also an educational and vocational support in the form of workshops, seminars, and regular meetings. Our seminars and workshops are conducted in German.